What Are the Chances of a Lost Cat Returning? I’ve found myself thinking this a few times during my cat parenting years. One of the sickest feelings I have ever felt is the one that comes from realizing a beloved pet has gone missing. For me, it’s come from an indoor cat slipping past my feet as I’ve come in the front door with my hands full, or when someone has left the side gate open and a dog has escaped. Having lost an animal to traffic before, I’m gripped with panic at the thought of any of my babies being outside and unprotected. The same feeling occurs when an indoor/outdoor cat fails to come home after the usual exploration period. Let’s talk about the likelihood of your cat coming home, and what you can do to increase those odds. Related: What Is the Difference Between A Feral Cat And A Stray Cat? When a pet goes missing, you run around outside looking, calling frantically while trying to keep the panic from your voice. You may run around inside the house, just to make sure you haven’t lost them inside (luckily, in 9 out of 10 of my own panicked experiences, the cats have been hiding under a bed, sleeping on a chair under the dining room table, somehow have gotten themselves stuck in a closet somewhere, or other humorous but benign locations). Related: Disappearing Kittens: Where Did They Go? If these do not immediately turn up your cat, you may put up posters, connect with local social media groups, call your local animal control and humane society – but as those leads are exhausted, it becomes difficult to remain positive. After a couple of days, you may start to assume the worst, and you’re sure they won’t be coming home. So what is the likelihood of a cat returning? Cats are curious creatures, and they can’t seem to resist a usually closed door or the things beyond it. 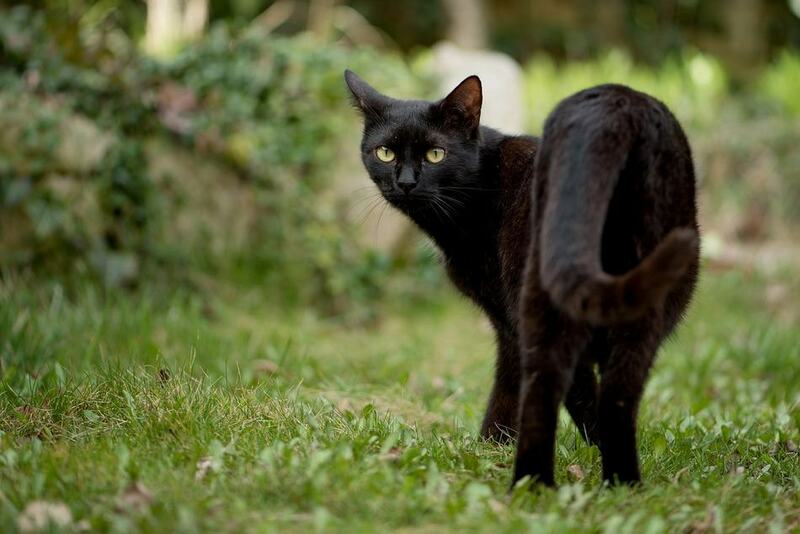 Unfortunately, what often happens with indoor cats is that they panic as soon as they are outside of their familiar walls, and instead of immediately turning home, they run in the other direction. I watched a cat climb a brick wall beside an open front door once because she was so panicked that she couldn’t even see the way back in. In most situations, it isn’t a case of a cat trying to run away, but exploring the outside world and perhaps venturing too far. Traffic and predators are no small concern when a pet wanders from home, and unfortunately the only real predictors of whether they are at risk of being harmed is their proximity to the threat and the length of their exposure. The only thing you can really do is try to get them home as quickly as possible. *Affiliate links included below. If you make a purchase, we earn a commission at no extra cost to you. If your cat goes missing, there are things you can do to help bring them home – in addition to getting the word out as mentioned above. The first thing to do is to put something outside that smells of your cat – their litter box , their bed and blanket – something that will offer them a sense of security should they come within scent range of home. Live traps can also be beneficial, but if you do use these, be sure to check them often – you don’t want kitty to come back and be stuck in a cage, alone and scared, for any period of time. 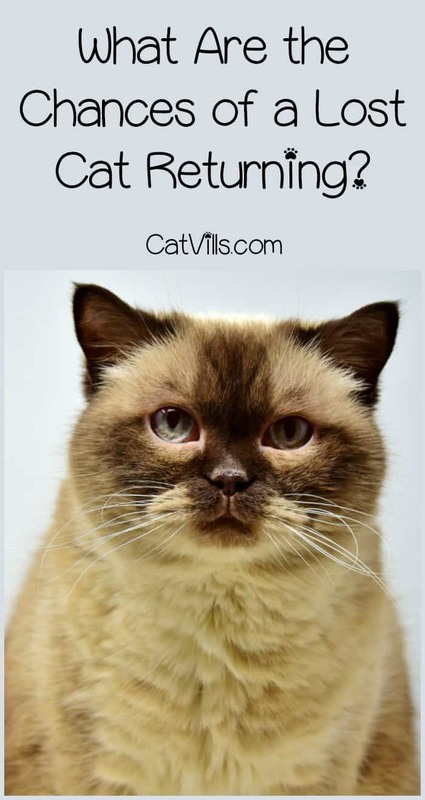 There are also things you should do before your cat goes missing – and just in case. Microchipping is an invaluable tool, and one that is responsible for the safe return of many, many pets, as people are likely to take any found animal in to see a vet and have it checked for a microchip. Making sure that your cat is up to date on vaccines is also a good idea, as it minimizes the chance of your cat contracting illness from any wild animals they may encounter. Every day, there are stories of cats returning after becoming lost – some travelling hundreds of miles to be reunited with family – and surviving harrowing experiences. My family had a cat, Salem, who at only about six months old, ventured outside and ran off before anyone could catch her. Salem had never been outside, and my family’s home in the country is surrounded by forests, back roads on which people drive far too fast, and a plethora of predators ranging from coyotes and foxes to hawks, owls, raccoons, and fishers. We spent days combing the woods for Salem with treats in our hands, calling her name. We set live traps that were sprung every morning – and sometimes multiple times per day – by raccoons, skunks, and particularly chubby squirrels. We put up posters and ads, and drove the roads slowly watching the shoulders and praying not to see her there. After a week, we were starting to lose hope. After two, we knew she was gone for good, and assumed that something had gotten her. We were devastated. And then one day – fifteen days after she went missing, Salem sauntered up the field where my dad was working, and allowed him to usher her into the house. Her ear was slightly torn, and she was thin and dirty, but aside from needing a few extra snuggles, she was fine. We’ll never know exactly what happened – the direction she came from was most definitely not the one she had set out in, and she had definitely been in a fight – but she came home. Salem’s story is nothing compared to others, but it is still another glimmer of hope. Protect your cats and give them the best chance you can, keep them indoors if at all possible, but don’t underestimate their fighting spirit or desire to make it home to you. In short, every lost cat situation is different, and you can’t predict all of the possibilities – but that doesn’t mean you have to give up hope. 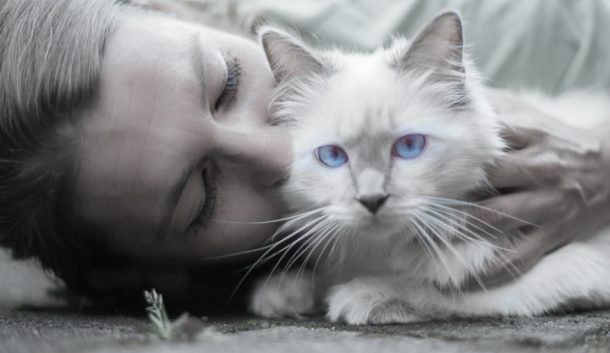 Have you ever had a lost cat return from an escape unscathed? Share your stories and tips below! I am getting a kitty very soon so this is very useful information to me! My cat is getting a micro chip and passport so that should help! I never had a pet rather feline, but finding a cat run into the traffic sends me goosebumps. Live trap is a good option and even putting something outside house which the cat smells and recognize is great. It must be so heartbreaking and traumatic when something like this happens. I don’t have pets but I would want to go everything to keep them safe. Cats adjust to easily to their environment, they’re very resilient as well. It’s really good to take note of these tips in case. I think putting out a litter box will make it easier for them to find their way home. I just got my cat microchipped, so important so if he ever runs away, I can find him and bring him home safe and sound.